Global markets are being shaken out of their laid-back summer. Risk appetite faces an unpleasantly hot and long vacation in Spain’s provinces. Stocks, commodities and the euro are likely to suffer. Yet again the dollar, yen and safe-haven bonds will win. For the last two months, euro worries and stocks had decoupled. The sense was that the euro zone could be propped up and global growth stimulated. A rout of risky assets on July 23 leaves both assumptions evaporating. The immediate catalyst for volatility is the suggestion that several of Spain’s provinces will follow Valencia and seek support from Madrid. A short-selling ban on Spanish stocks reeks of panic. Elsewhere in the euro periphery, reports that the International Monetary Fund is washing Greece off its hands are unsettling. But so long as Greece has a government that isn’t giving up on meeting austerity targets, Europe is unlikely to abandon it. Spain and Italy are the more acute worries. The yield on Spain’s 10-year debt is at 7.4 percent, Italy’s at 6.34 percent, having overtaken Ireland’s last week. Regionally and nationally Spain’s economy remains in fiscal distress. Spanish debt is rising far too fast, by 68 billion euros – more than 7 percentage points of Spain’s falling GDP – in just one year, to 72 percent of GDP. After the recently agreed European support for banks, additional external assistance for Spain seems certain to be necessary, even if the next crunch refinancing is a couple of hot months off. Until there’s clarity about how Spain is to be supported, markets will play out well rehearsed defensive moves. The euro is likely to continue its not unwelcome slide, breaking below $1.20. Stocks and commodities, which have risen to two-month highs despite global growth fears, look set to be stewed. A retreat below the sub-1300 early June S&P 500 low would seem a minimum. The dollar, yen and safe-haven bonds again look like the beneficiaries. The U.S. 10-year Treasury now yields just 1.4 percent, its lowest since the 1800s. That makes it less likely the U.S. Federal Reserve will print money again to drive Treasury and mortgage yields down: euro fear is doing the job. And in the absence of that, the correction in risk assets may be steeper. The euro fell to 94.4 yen in Asian trading, its lowest level since November 2000, and to $1.207, its weakest since June 2010, amid fears that debt problems in Spain are worsening. 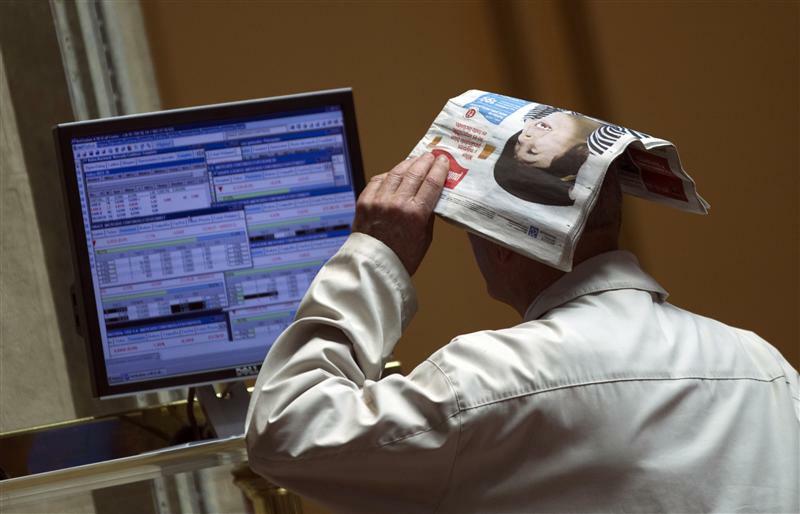 Spain’s stock market regulator banned short-selling on all Spanish securities on July 23 for three months. Murcia and Catalonia, the biggest of Spain’s regions by gross domestic product, are among a number of Spanish regional governments expected to seek financial support from the government. “We’re working very hard to pay bills normally but the pressure on our treasury is very high”, Andreu Mas-Colell, Catalonia’s Economy Minister told Italy’s La Repubblica newspaper.